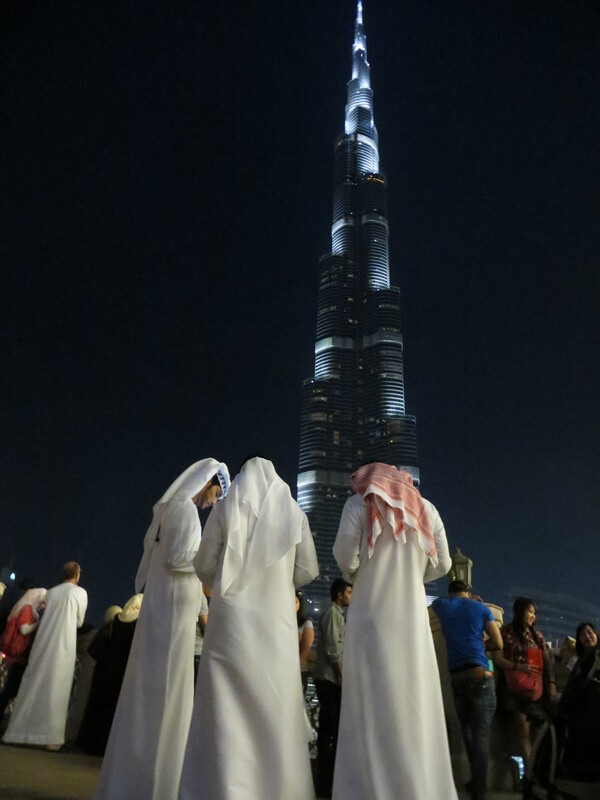 In a blink of the eye, the biggest, largest, tallest have risen out of Dubai’s golden sands. 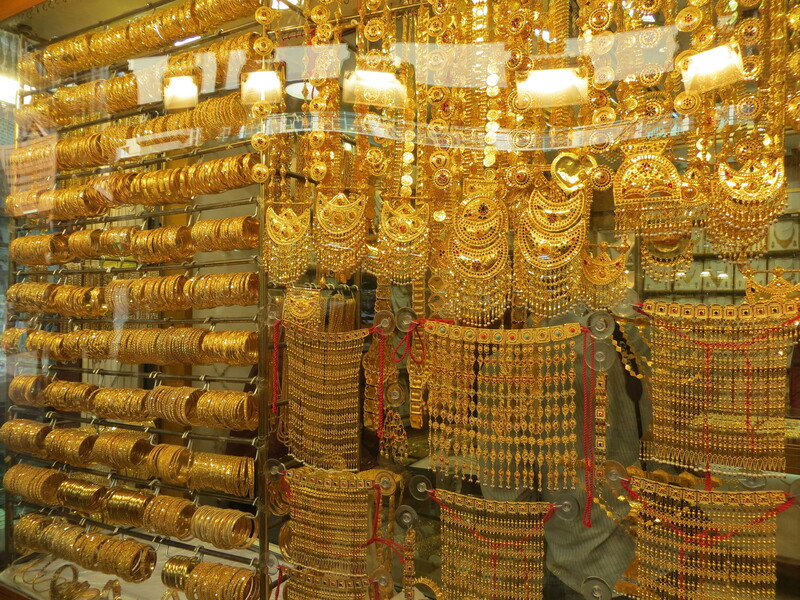 Overnight, this Gulf oasis now glimmers with vertical cities, palaces in the sky, gold walls, 24-carat gold shoes, and ATM’s that dispenses gold bars. Bedouin tales from the ancestor Bani Yas tribe, couldn’t have predicted this kind of magic that has sprung out of this Arabian desert. It all awaits you as you come to visit, check out our top things to do in Dubai! 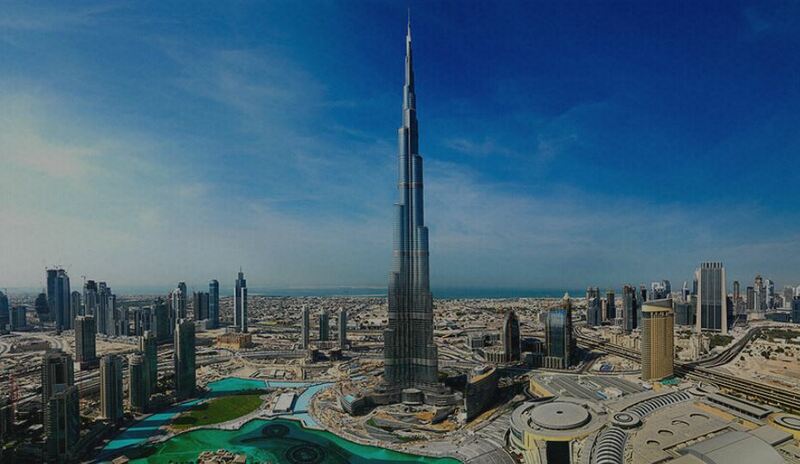 In 1991, Dubai had one sky rise. Today over 900. 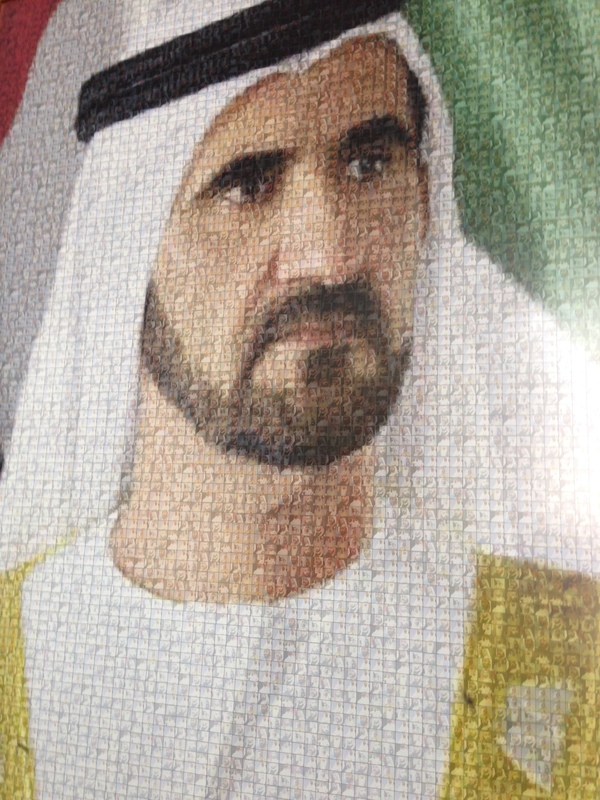 Striking oil in 1966 made it possible for Dubai’s ruler, His Highness Sheikh Mohammed bin Rashid al-Maktoum, to build a city like no other in the world. 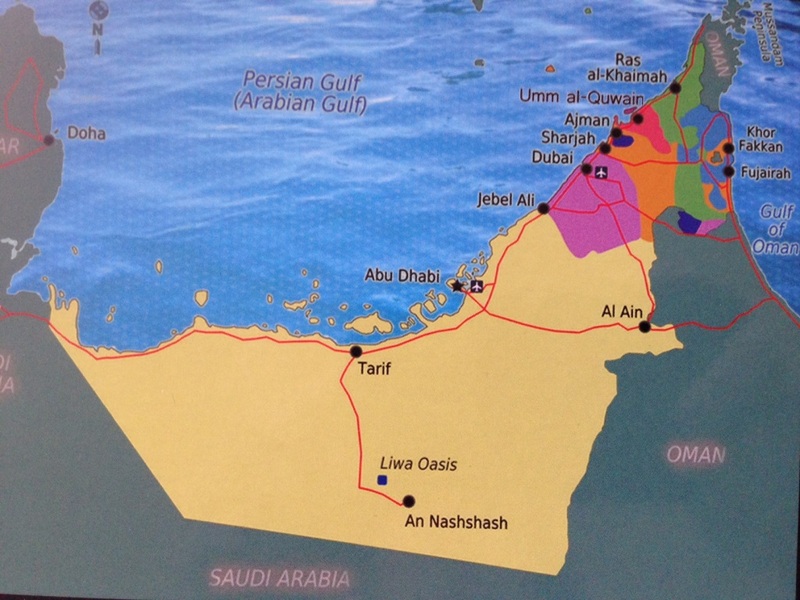 One of seven Emirates in the UAE (United Arab Emirates), Dubai has one of the highest per capita incomes in the world. 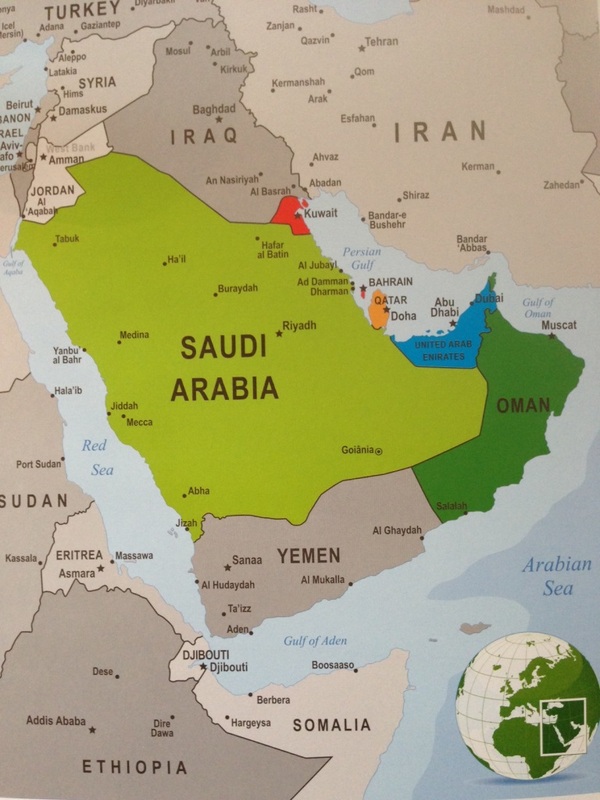 Located on the east coast of the Arabian Peninsula, in the southwest corner of the Arabian Gulf, you can see some of Dubai’s landmarks from outer space, with a skyline of soaring skyscrapers that bedazzle visitors from around the world. Within a day’s reach, you can visit sandy beaches, red sand dunes, majestic mountains, lush tropical gardens. From dune bashing to designer shopping, there’s a kaleidoscope of activities in this vibrant coastal city. Everything here is “over-the-top” and you can be guaranteed your days will be sunny with year round sunshine! After visiting Dubai over the past decade, here’s our “shortlist” of recommendations – what to do, where to stay, dine, spa. Dubai Mall – At the base of Burj Khalifa, you will definitely drop after you shop the world’s largest mall with 1,200 boutiques! After walking through 440,000 sq. ft. with the largest collection of fashion brands in the world, and if you have the energy, take a spin at the indoor ice skating rink or view marine life in the indoor aquarium. If you prefer skiing, head to the Mall of Emirates which has an indoor ski resort – largest in the Middle East. Dubai Fountains – The Dubai Fountains surge up to 500 ft in the air and dance to Arab, World, and Classical music at the largest fountain show in the world. Click here to watch these fountains dance! 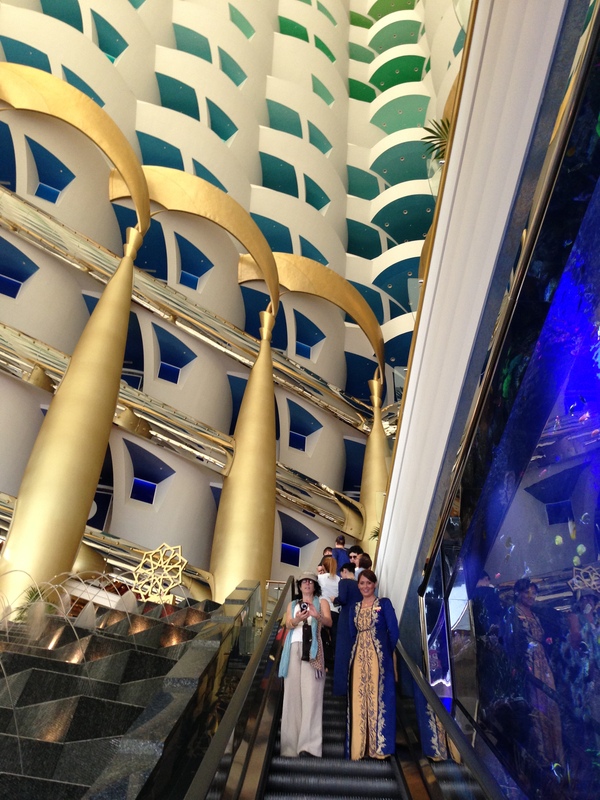 Burj Al Arab – The world’s only “7 Star luxury hotel” unfurled its sail-shaped exterior when it opened just before January 2000. Dubai’s iconic landmark stands on its own man-made island at 1,000 ft. We were entranced on a tour that took us through a lobby with a ~500 foot atrium and two story aquarium. 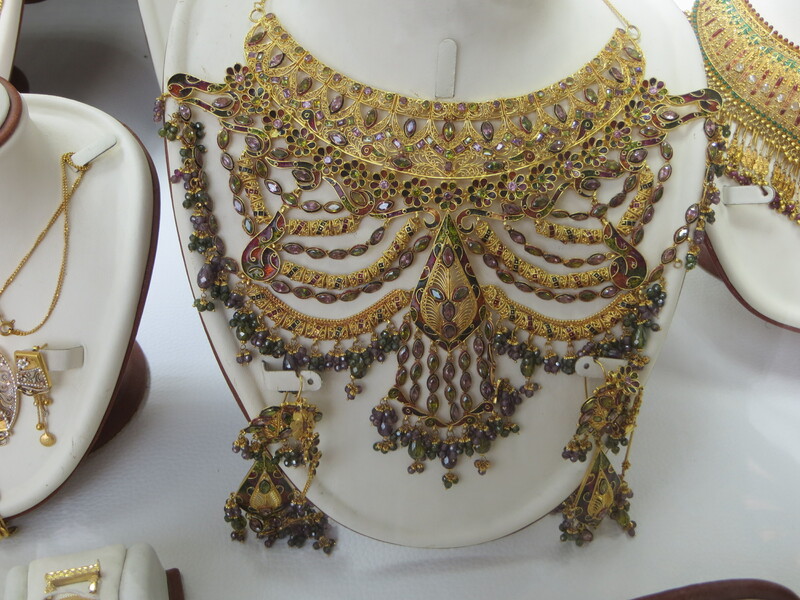 Click here to view the several images we captured at this Arabian wonder! Resembling a traditional Arab boat, the dhow, it looks like it’s sailing off the coast of Dubai. 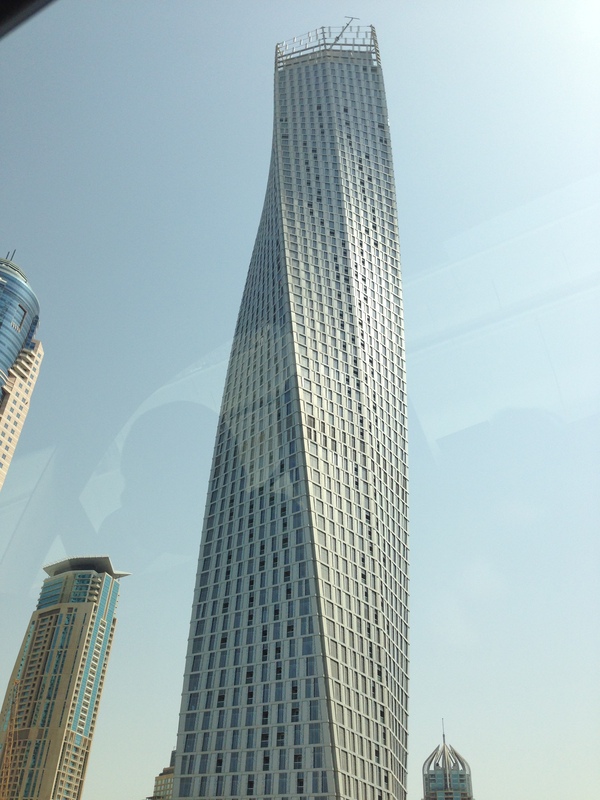 Architect Tom Wright is the mastermind behind the world’s 4th tallest hotel with 28 floors and 202 deluxe suites. The Royal Suite price tag is ~$20,000 per night. 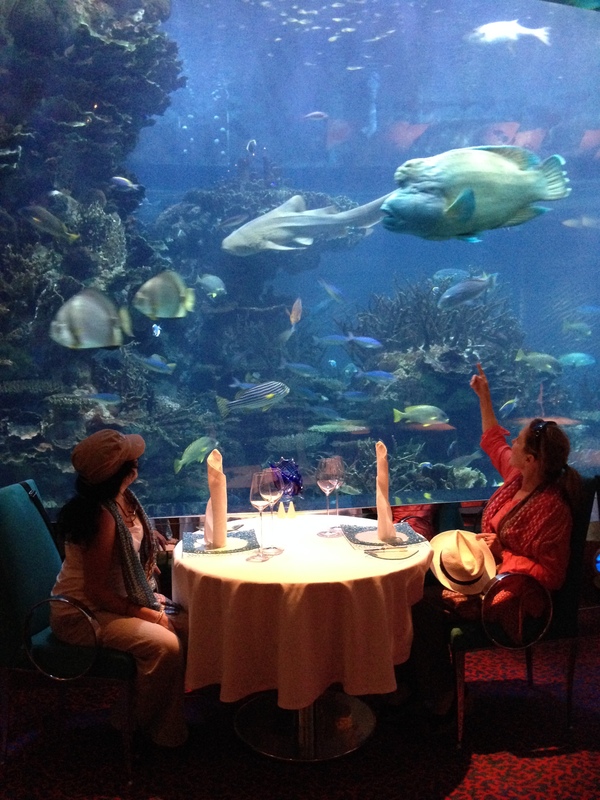 Many marriage proposals take place in its restaurants – Al Mahara (“Oyster”), with a submarine-like entrance to dining area surrounded by a floor-to-ceiling seawater aquarium, and the Al Muntaha (“Highest” or “Ultimate”), on the upper floors of the hotel offers panoramic views of the Gulf, The Palm and The World Islands. 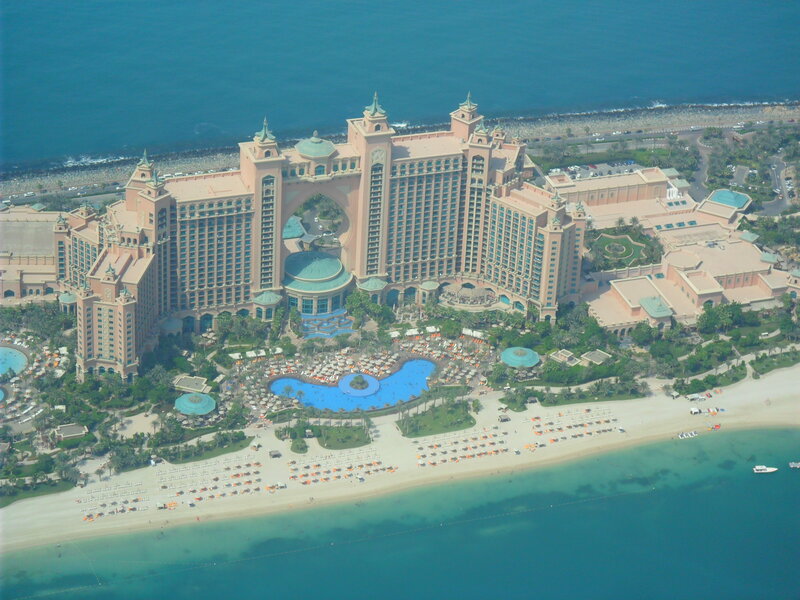 Dubai Water Parks – There are several water parks in Dubai, like Wild Wadi and Atlantis. 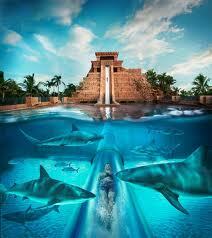 We went to Aquaventure at Atlantis, The Palm to slide down the “Leap of Faith”. Click here to watch as we slide down 9 stories in 1 second, then speed through tank surrounded by sharks and rays. 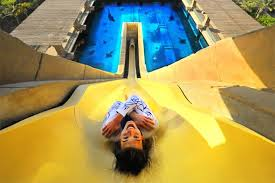 The newest thrill is at the Tower of Poseidon where you can test your courage sliding down 120 foot slide – a World Breaking Ride. 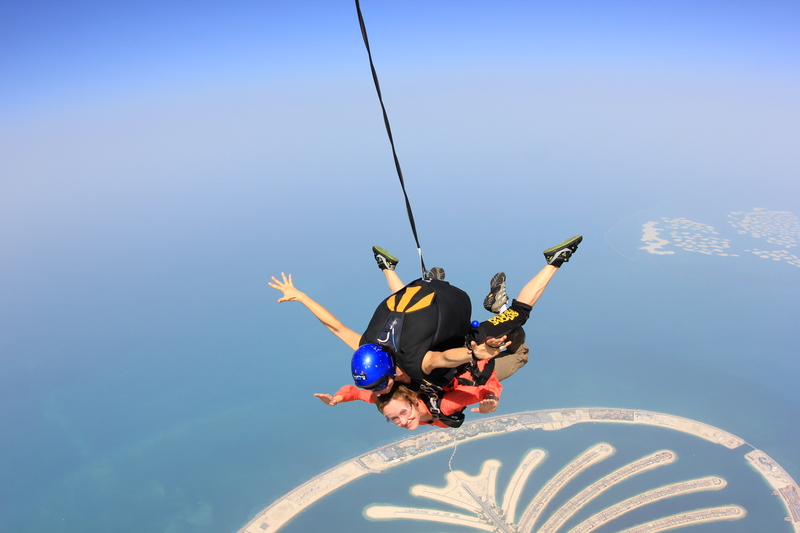 Skydive Dubai – If you want the best panoramic aerial view of The Palm, and The World Islands, head to Skydive Dubai and sign up for a tandem skydive directly over The Palm, and on a clear day see The World Islands in the distance. 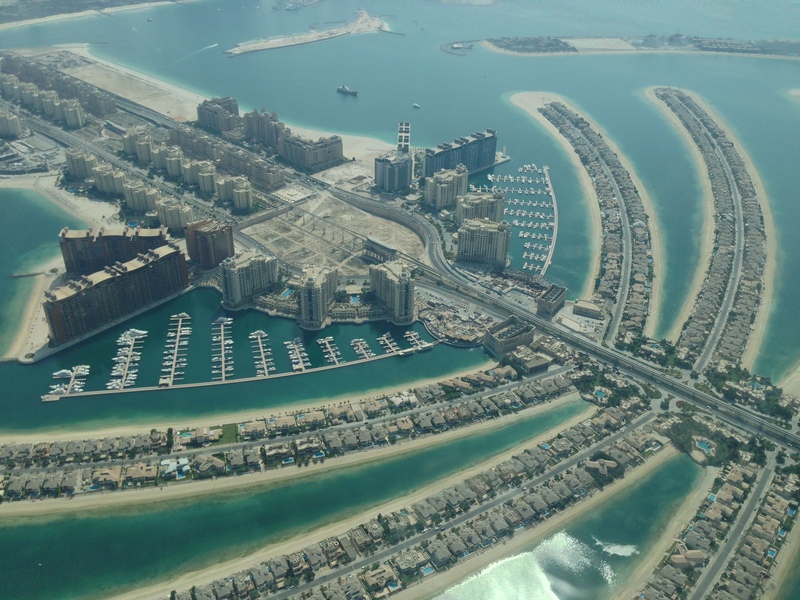 The Palm is one of Dubai’s daring architectural feats and is one of the three largest artificial islands in the world. Click here to see what happens as we jump out over The Palm! 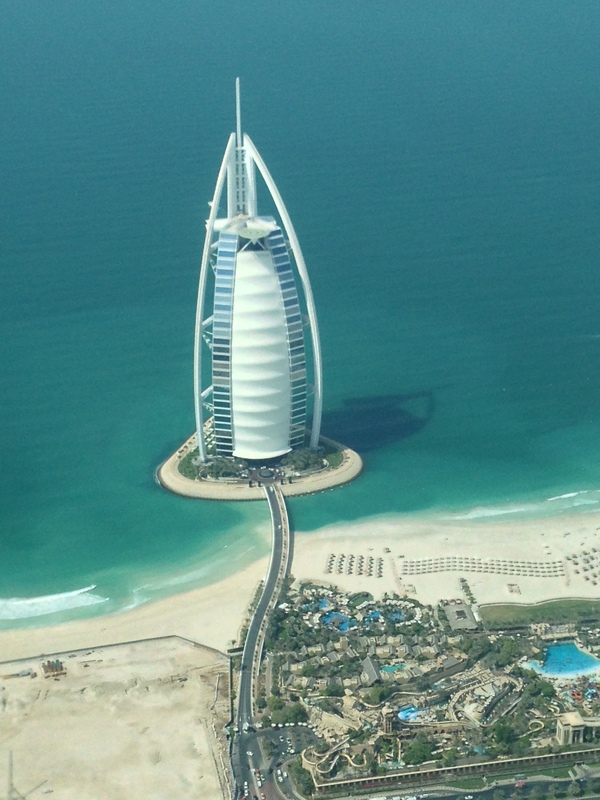 Seawings Flight over Dubai – Another option is to fly on Seawings seaplane and see Dubai from every angle – above the water, along the Arabian coast and through the heart of this city. Everyone has the “best seat” on the flight with a window that peers out to the world famous landmarks and dramatic Dubai skyline. 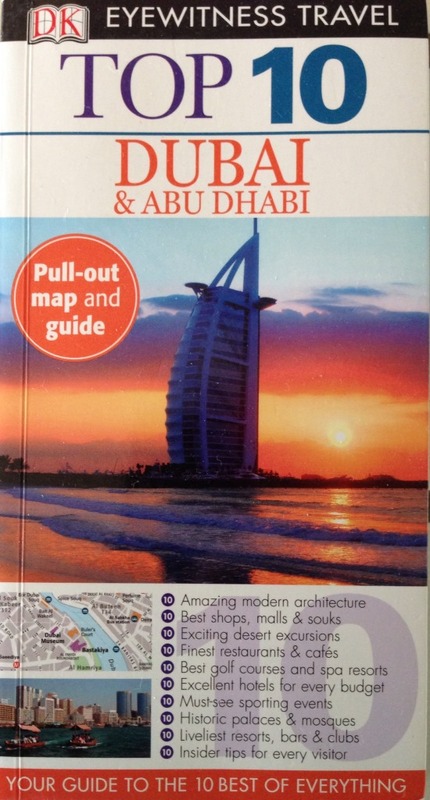 We saw incredible views of the Burj Khalifa, Burj Al Arab, the Palm and the islands of the World on this 45 mins. flight. Highly recommend booking a flight to see this fascinating city! 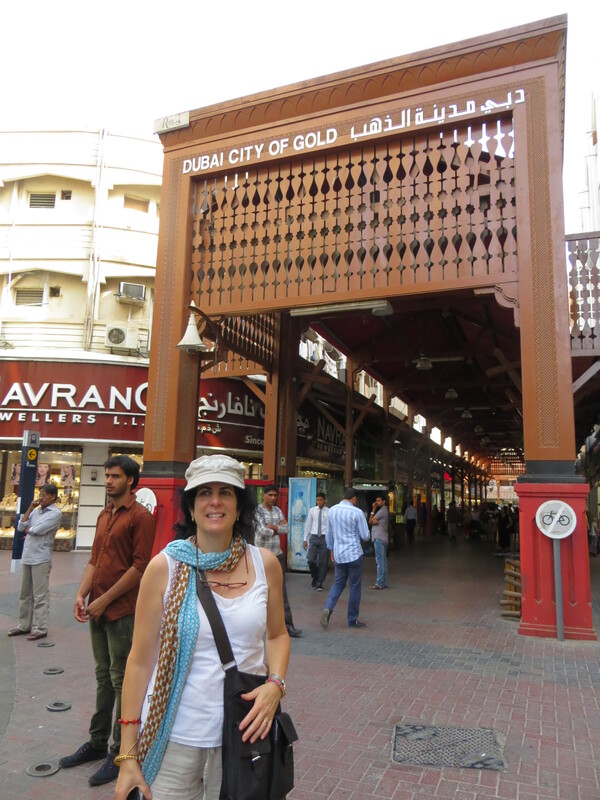 No list of “Things to do in Dubai” would be complete without visiting the grand Old Dubai! Jumeirah Mosque – Be sure to visit the Jumeirah Mosque, the UAE’s most important religious site, with extraordinary architecture. Wear a veil and cover up to show respect. Sheikh Mohammed bin Rashid Center for Cultural for Understanding – His Highness Sheikh Mohammed bin Rashid Al Maktoum, Ruler of Dubai and Prime Minister of the UAE, shares “Dubai is a uniquely modern and cosmopolitan city and the United Arab Emirates is home for families from all over the world, each with their own distinctive culture. Expatriates and UAE nationals are neighbours; however they can also be strangers.” In an effort to better understand each other, he founded this center to introduce the traditions and customs of the UAE. 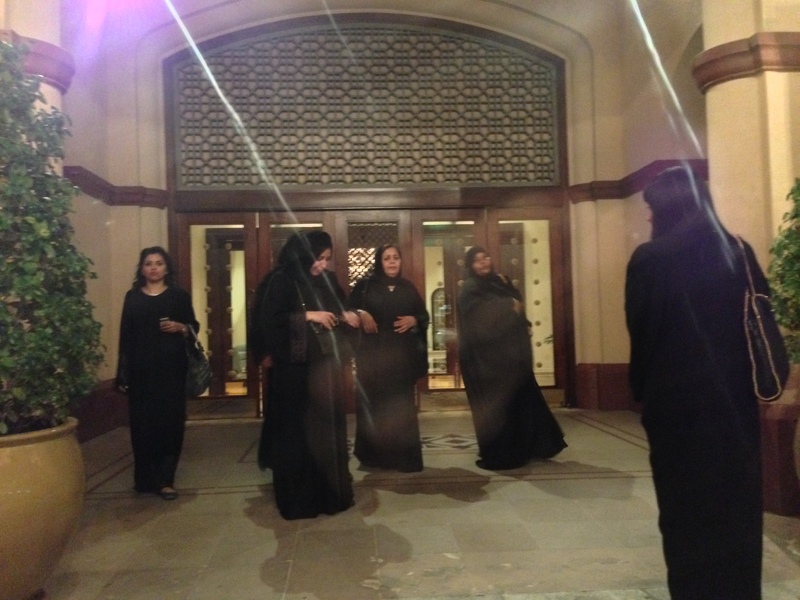 Dubai Women’s Museum –a cultural initiative designed to celebrate and explore the lives of women in the UAE. Unique to the Gulf and The UAE, this museum highlights women’s achievements and aims to discover the lives of UAE society through UAE women past and present. 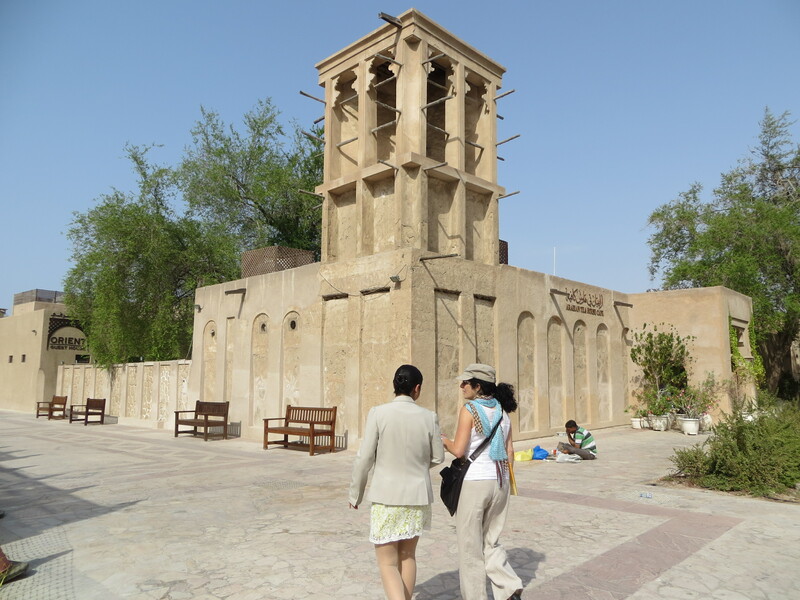 Bastakiya – Visit the historical area next to Dubai Creek in Old Dubai, where you can tour ancient houses and the last wind tower (early form of AC) quarter left on the Arab side of the Gulf. In 1833, this harbor was a trading center for center for the fishing, pearling and sea trade and developed into an important port by the 20th century. 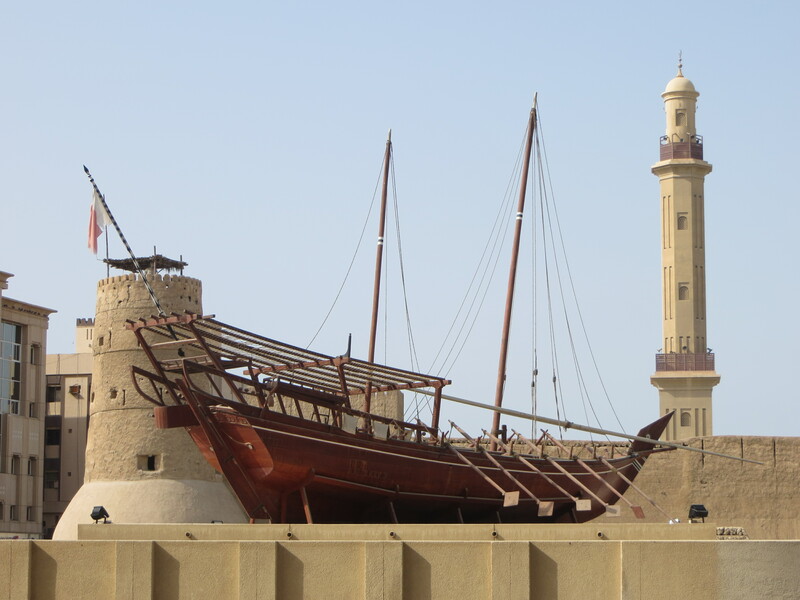 Watch the dhows, old Arab wooden boats, sail down the waterway. 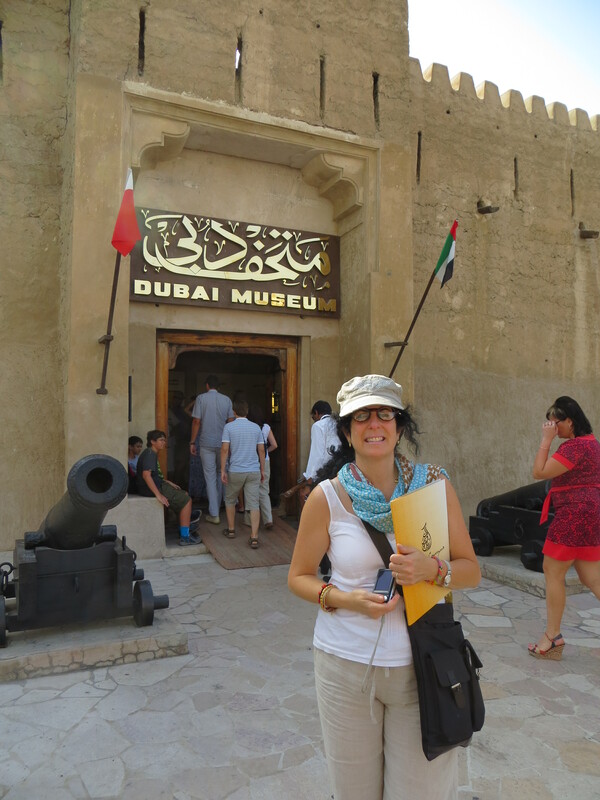 Spend at least an hour at the Dubai Museum, where you can learn about Dubai’s pre-oil boom and get insights into Emiratis cultural heritage and how they lived just decades ago. 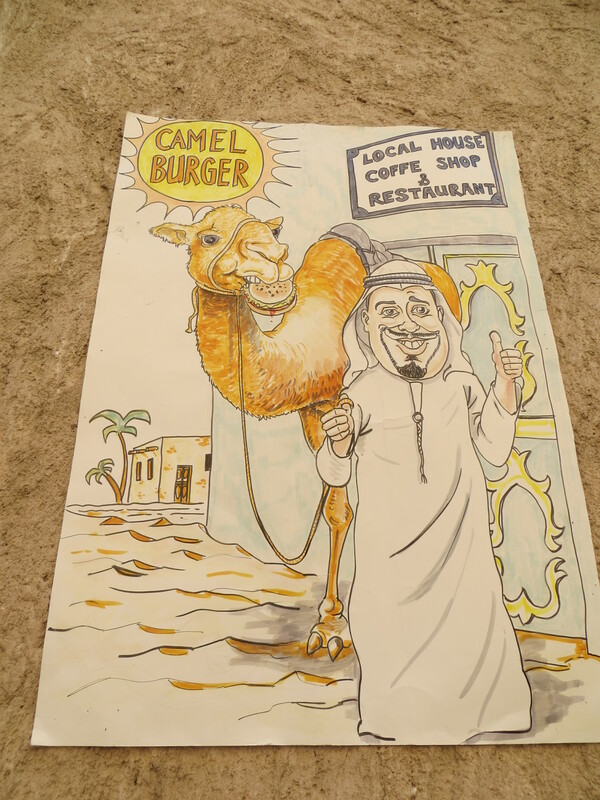 If you’re hungry, you can stop for a Camel Burger at a local café. 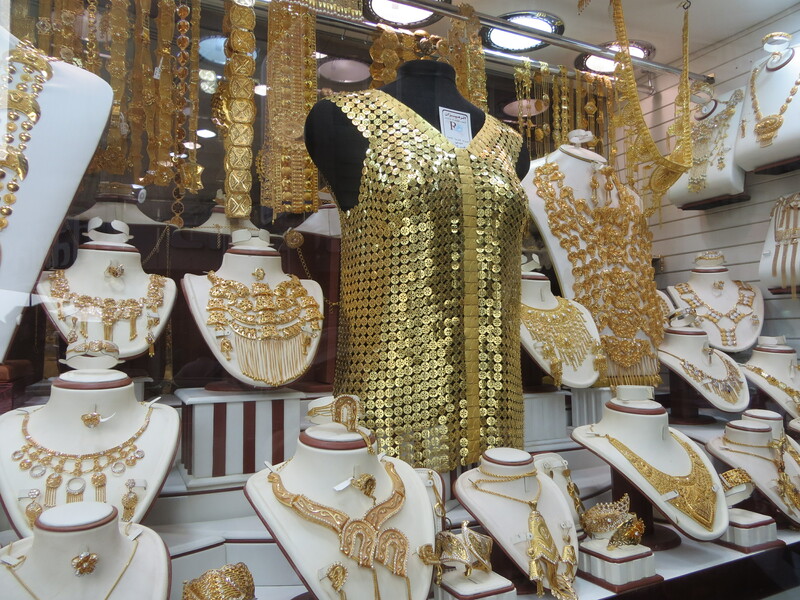 Gold Souk – We went window shopping to one of the largest gold markets in the world with 300 jewelry shops and admired the intricately designs. 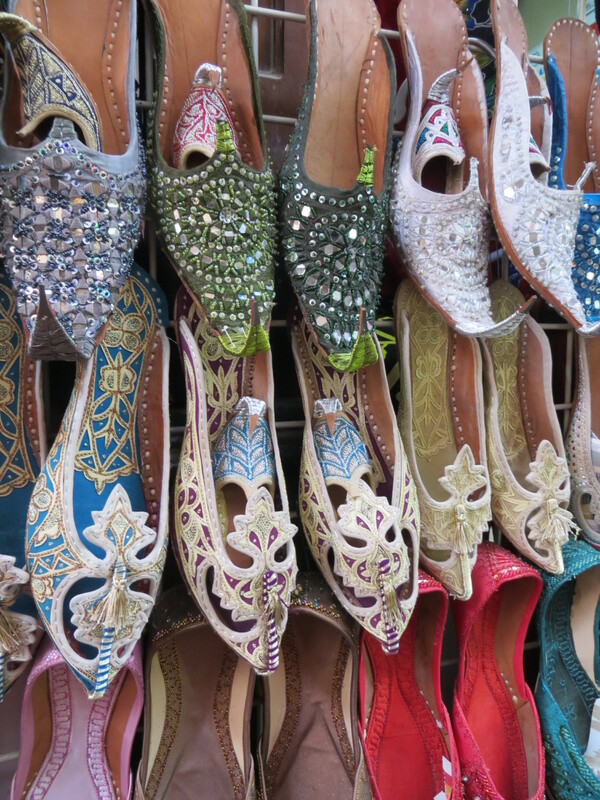 Venture into the hidden alleyways where there are smaller shops with pointed toe shoes, sequined robes, Aladdin lamps, and find a treasured souvenir. 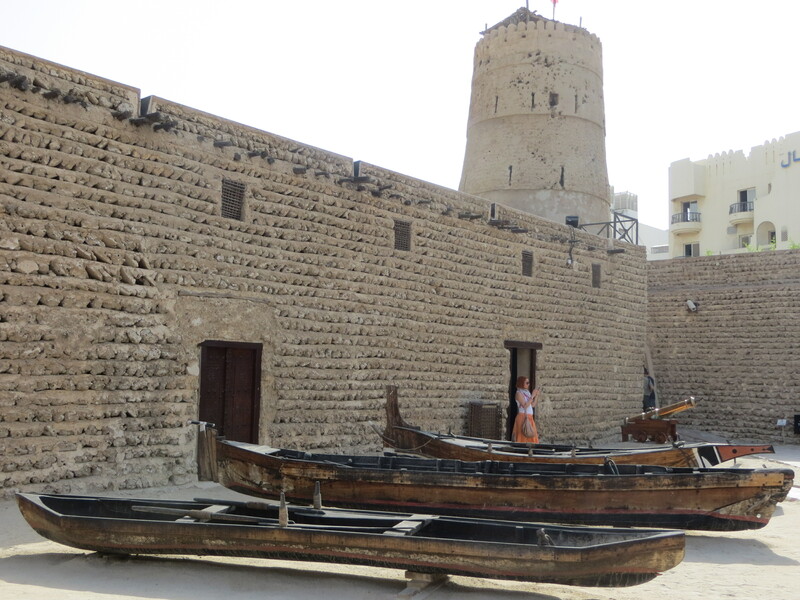 On the Deira side of the creek, the souk (market in Arabic), was the largest on the coast. 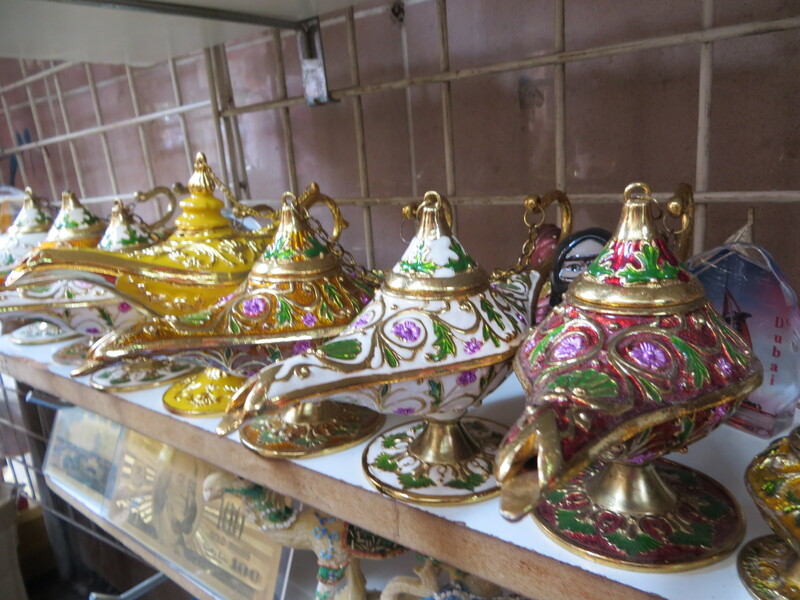 Spice Souk – The lanes get narrower as you go into the bustling spice souk and start to smell the fragrance of incense, and sacks of Middle East spices like cardamom, cinnamon and cloves. 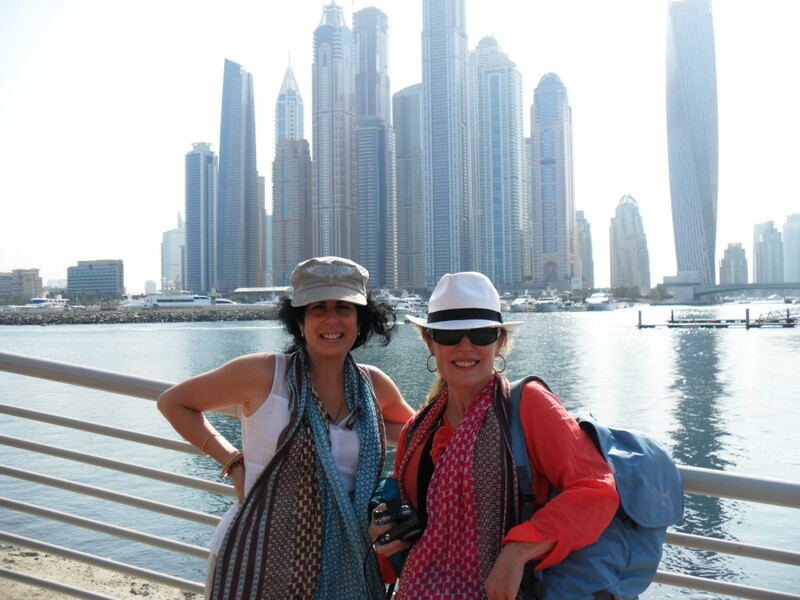 Here we bought some dried fruit and nuts to snack on as we continued our Dubai discoveries. Desert Safari and Sundowner Dune Dinner – You can’t leave Dubai, without experiencing a Desert Safari with Arabian Adventures. Within 45 minutes from Dubai, you’re in the desert following a convoy of 4X4’s on a roller coaster of red sand dunes as you dune bash to a village site. After this thrilling ride, a magical evening awaited us as we rode camels, and learned some of the traditional ways of the Emirati people – preparing tea, dressing like a Bedouin, getting henna design on your feet or hands, feasting on traditional dishes – hummus, tabouli, bbq, and testing out the hubbllee bubbblee – the shisha (the famous Arabic water pipe) with some Arabic coffee (gahwa) along with fresh sweet dates. Before returning to Dubai, guests are entertained with a belly dance performance under a canopy of stars. Where to Stay, Dine & Spa in Dubai? 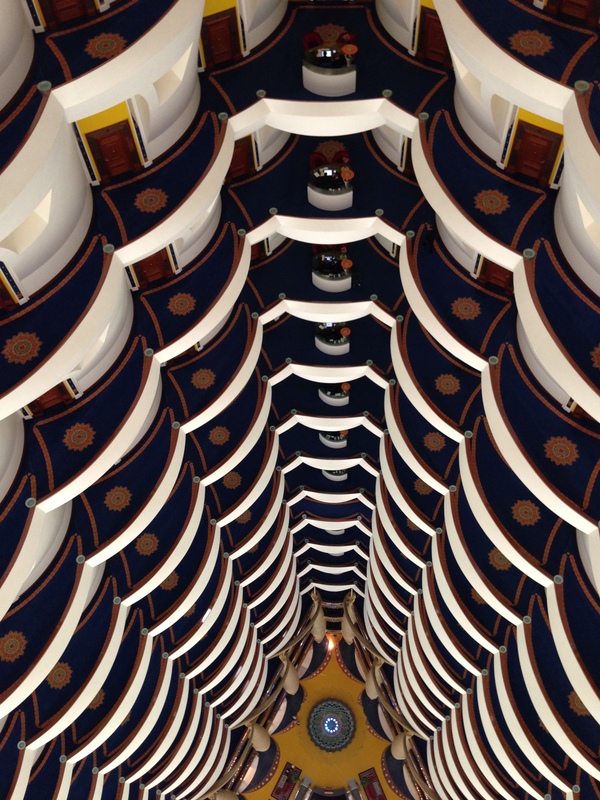 The Oberoi Dubai: In the heart of downtown Dubai, we found The Oberoi to be an oasis of luxury! This award winning contemporary hotel opens up to dramatic views of the iconic Burj Khalifa, and is just a few minutes drive to Dubai Mall and the DIFC, and only 20 mins from the airport. There are 252 rooms and we found our bedroom and bathroom to be spacious with a warm ambience, designed with artwork, timber floors, rich fabrics, and hand-tufted rugs. 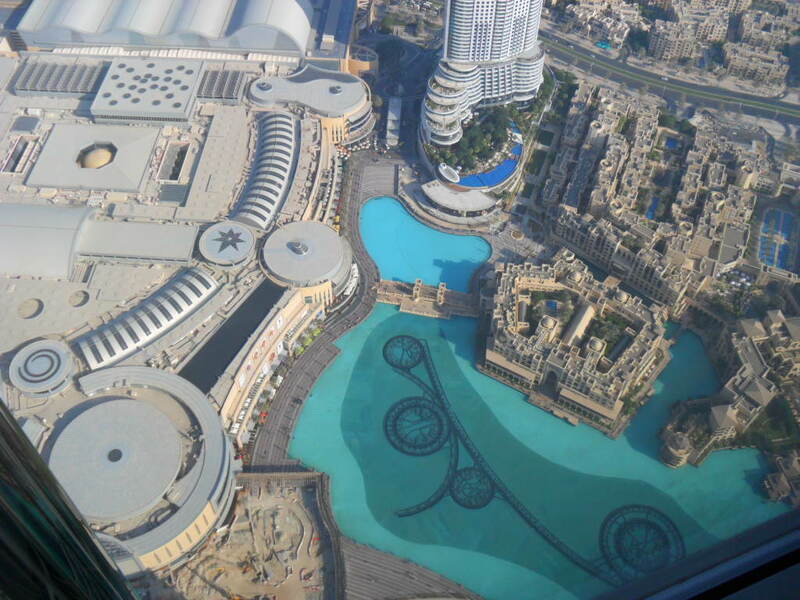 Even the bathtub has a view of the Burj Khalifa. Don’t Miss! Order your favorite type of pillow from the pillow menu. We dined at the award winning specialty Indian restaurant: Ananta and each dish was full of flavor and delicious. The Chef and his team presented traditional Indian dishes with a innovative post-modern twist. The Oberoi Spa pampered us to a Balinese massage and a rose petal-filled bath. Their treatments include Western, Balinese, Thai and Ayurveda inspired treatments and there’s a 24-hour gym, as well as a temperature-controlled swimming pool. 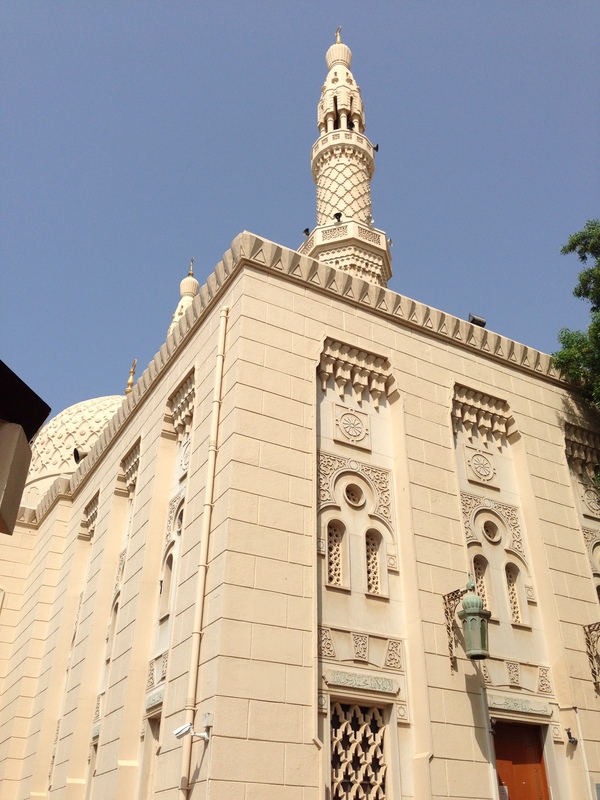 Raffles Dubai: Only a 5-10 mins ride from the airport, and you arrive to Raffles Dubai! This charming pyramid-shape luxury hotel has a range of rooms and suites that cater to families, business and leisure travelers. Our Raffles Club Room was spacious and the decor inspired by Middle Eastern design. Sophisticated, yet it feels like home with its fine linens, pillow menu and modern amenities. Our private terrace with sweeping views of downtown Dubai. 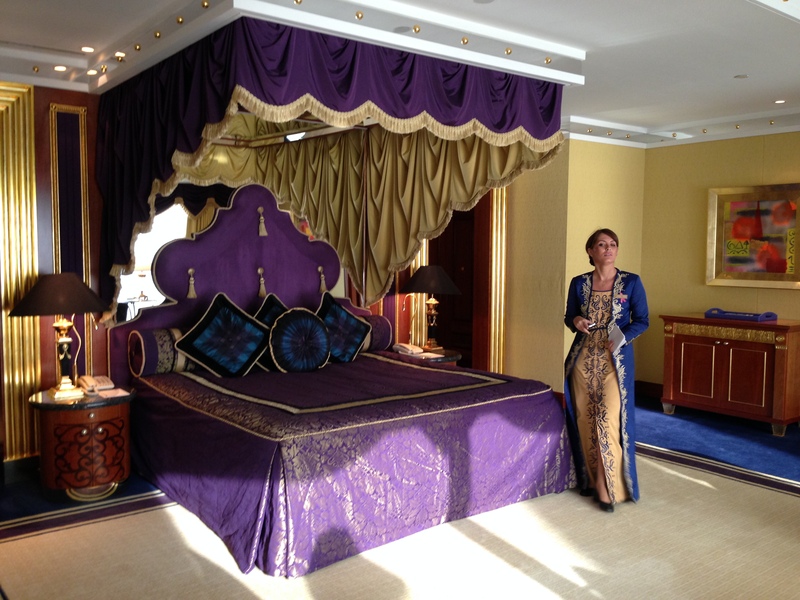 We had a tour of the Presidential and Royal Suites and they are spectacular! Raffles Garden Restaurant: We dined outside in our own private cabana and savored the variety of cold and hot mezzeh platters brought to us. The grilled dishes were amazing too – seafood & meats. Raffles Spa has 6 spa suites and almost 13,000 sq ft of spa and wellness facilities. Their spa features treatments inspired by Asian, Middle Eastern and European traditions. 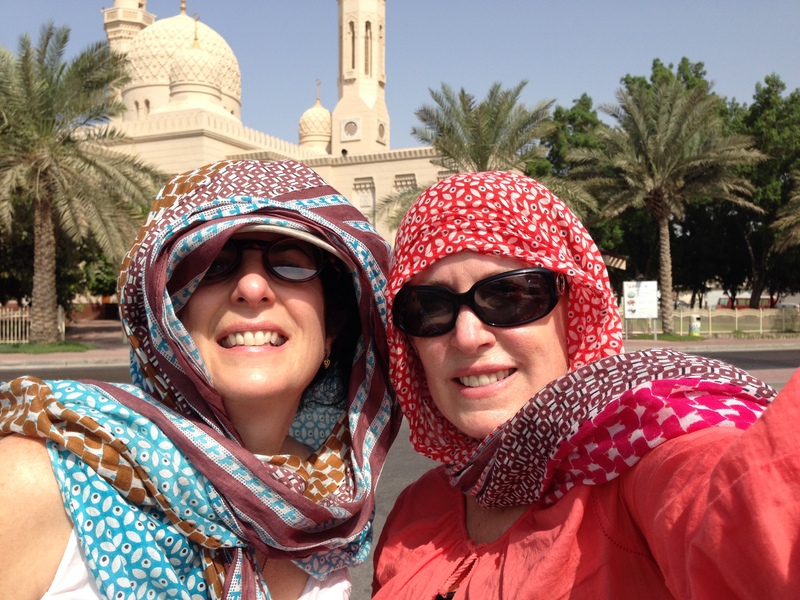 We had just arrived to Dubai feeling jet-lagged, and checked into the spa for a massage before we went to bed. It’s a great way to relax after a long flight. Four Seasons DIFC (Dubai International Financial Center): We loved this boutique hotel nestled in the center of vibrant Dubai. We think it’s a gem and one of the Four Seasons finest boutique hotels. Its intimate setting is designed for the perfect retreat in the heart of the city. 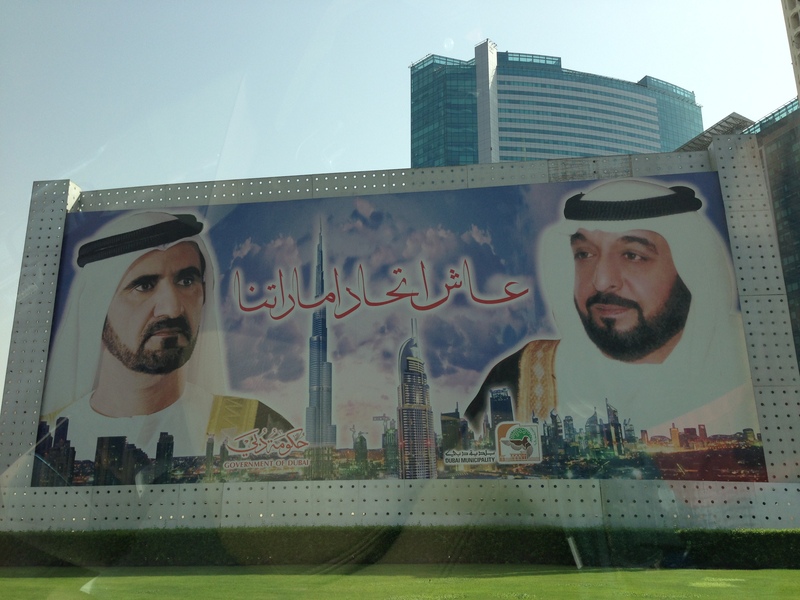 The hotel caters to travelers who are in Dubai on business or holiday or both! There’s a rooftop oasis with an “instagram” famous pool and stunning city views. The hotel’s spa is a sanctuary for those wanting to just relax, and there are sophisticated restaurants and bars — Mina’s Brasserie and Luna Sky Bar where guests can dine, entertain or network. Our suite had floor to ceiling windows and was beautifully decorated. The luxury accommodations included a spacious entry, separate sitting area, large bathroom. It was so quiet that we couldn’t believe we were in the middle of Dubai city. MINA Brasserie: Located in the Four Seasons DIFC, MINA is a modern brassserie that has partnered with award-winning Chef Michael Mina. It’s a great choice for a business dinner or place to dine with friends among Dubai’s elite – either indoors or on the outdoor terrace. Restaurant General Manager Ivo John Krmpotic and Head Chef Matthew Dahlkemper presented us with an array of classic brasserie dishes that were seasonally sourced. Some highlights include: za’taar salmon and caviar with shallot potato cake, pickled onion and cucumber yogurt; Michael Mina’s tuna tartare with pine nuts, garlic, mint and sesame-habanero oil; beets and burrata with toasted pistachio, quinoa pilaf and buckwheat crouton; phyllo-crusted Dover sole with brown butter-caper sauce; and wood-fired lamb chops. Don’t Miss! Order a cocktail from the gin trolley. The Spa at Four Seasons Hotel DIFC: On the seventh floor at the Four Seasons DIFC, we found luxury and serenity in the treatment rooms that look out to the Burj Khalifa. My spa experience was so relaxing after a long travel day. I hope to return for their 24-karat facial, a unique facial that incorporates 24-karat gold to lift, tone and revitalize. 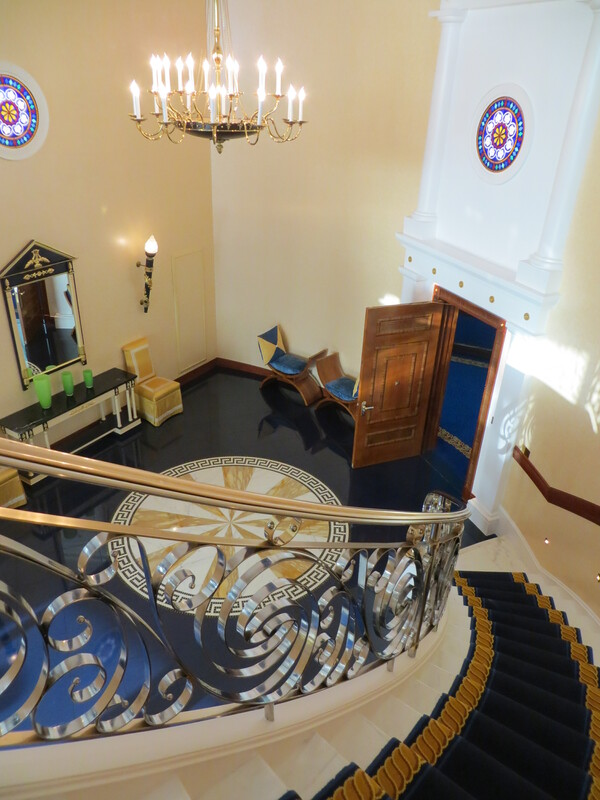 Palazzo Versace Dubai Hotel: If you want to stay in a Palace only 15 mins to the Dubai International Airport and 8 minutes to downtown, book a room at Palazzo Versace! We felt like we were staying in a 16th century Italian Palace. Known as Dubai’s Neoclassical masterpiece, the entrance to Palazzo Versace Dubai is stunning with high ceilings, a ‘Pietra di Fiume’ design of the iconic Medusa, Greek décor and Italian furnishings decorated with fabrics and designs from Versace. Located along the historic Dubai Creek and Jaddaf Waterfront, this 5-star hotel has beautifully landscaped gardens, palm trees that surround the lagoon pools decorated with mosaic tiles. It’s a luxury retreat for travelers, and also an ideal venue for weddings and social events. Our room had luxury accommodations with Versace’s designs throughout our suite with parquet flooring and elaborate white and cream boiseries, and a pastel palette of silk furnishings. There’s even a boutique in the hotel with the Versace Home Collection that features some of the decor in the suites for guests to purchase. Our views of the Dubai Creek and the Jaddaf Waterfront were panoramic, and we had two bathrooms featuring handcrafted mosaic and Carrara marble tiling. Vanitas: Located in Palazzo Versace Dubai Hotel, we dined in the signature Italian restaurant Vanitas and savored the homemade pastas, and scallop carpaccio, along with other classic Italian cuisine presented in elegant Versace designed china. The SPA at Palazzo Versace: The SPA is an award winning spa with treatments rooms and Moroccan Hammams, relaxation areas that have plunge pools, steam rooms and saunas. We had a relaxing couple’s massage and enjoyed the peaceful setting in this new Versace spa with marble floors of Granito Nero Assoluto, mosaics and white birch wood walls with mother-of-pearl details. Our therapists pointed out that the décor’s motifs belong to the sea world: cornucopias interlaced with small seashells and embellished curlicues. 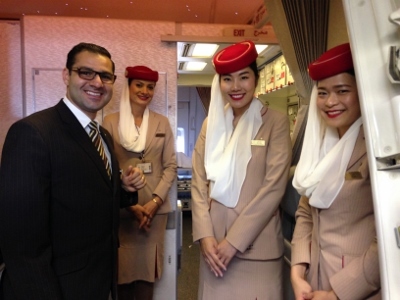 Emirates Airlines – our airlines of choice for this trip is Emirates Airlines. 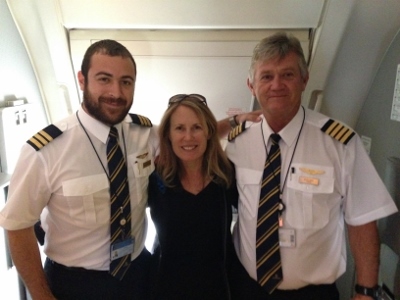 From the moment we booked our flight to our arrival in Dubai, we received excellent service and had a fabulous in-flight experience. 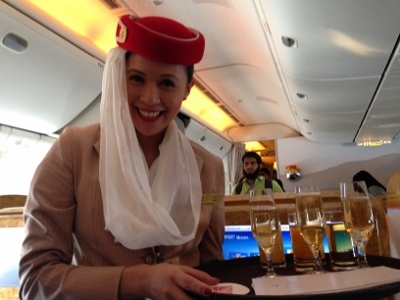 If you want the “WOW” factor flying to Dubai, reserve a ticket with Emirates Airlines. 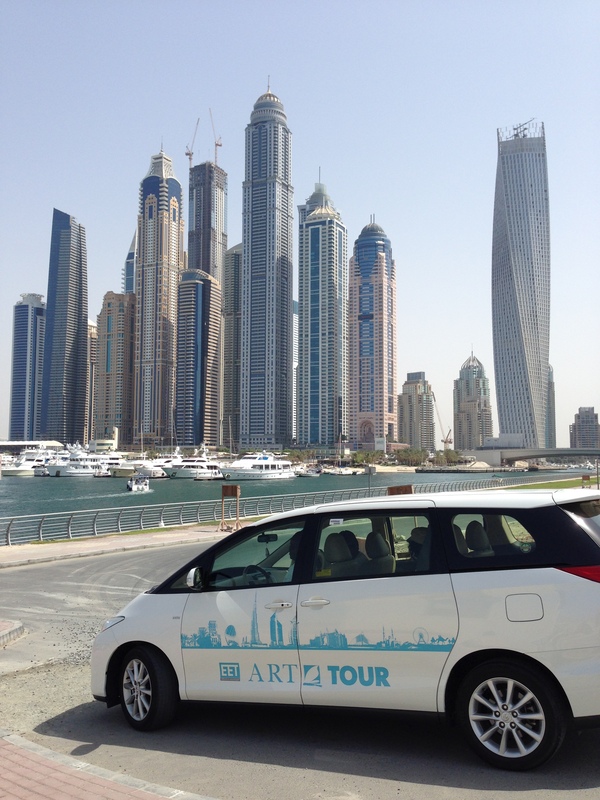 How to Get Around Dubai? 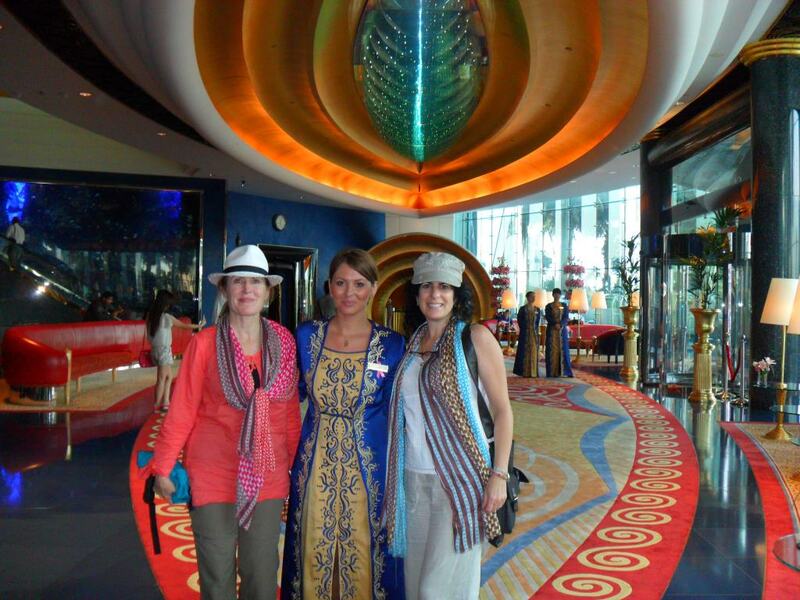 Travel Acknowledgements: We would like to thank the The Oberoi Dubai, Raffles Dubai, Four Seasons DIFC & Mina Brasserie, Palazzo Versace & Vanitas, Seawings, Burj Khalifa, Burj Al Arab, Arabian Adventures, and EET for hosting us during our stay. Also, we appreciate the support of our sponsors – GoPro, providing us with a Go Pro Hero3 to capture the video clips on YouTube, and DK Eyewitness Travel for providing us with a helpful Top 10 Dubai & Abu Dhabi Travel Guide. Opinions in this article are our own. LEGIT! My wife and I will have to go someday. This is definitely added to the bucket list! Now I just need to get up the nerve to sky dive!! Fantastic!!!! What an amazing trip you guys had!